Sinha’s words come after he formed a political action group called ‘Rashtra Manch’. According to the leader, he had been trying to escalate talks with Prime Minister Narendra Modi, sent him a numerous number of letters too, but since he failed to get a response, he had to create the Manch. 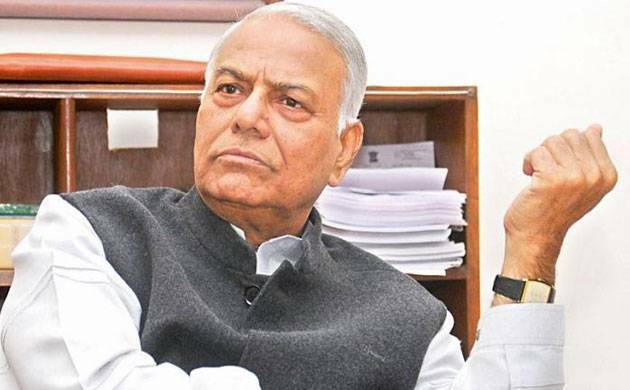 BJP leader Yashwant Sinha on Tuesday told that he had no intention of quitting the BJP, and added that the party can throw him out if it wants. He said that one of the main tasks before the Manch was to ensure that the policies of the NDA government and the BJP’s election manifesto are aligned together. “Why should I quit the BJP? I had toiled hard during 2004-14 when the UPA was in power. Let the party throw me out if it wants,” he said while addressing the media at a seminar on the Union Budget 2018-19. He also said that the platform is clustered with people from many political parties and farmers’ organisation. Sinha, who had served as the Finance Minister at the time of Atal Bihari Vajpayee cabinet, said that the policies of the present NDA government were not in accordance with what the party had promised to give in its election manifesto.